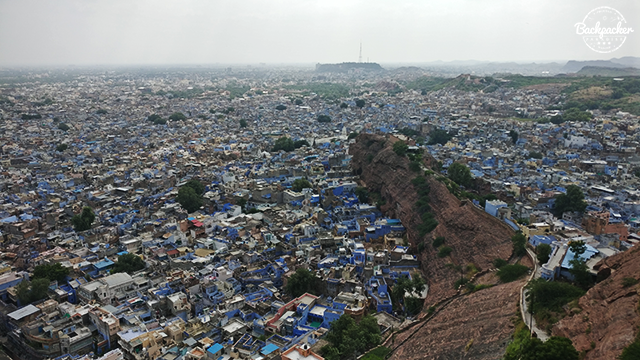 The Blue City of Jodhpur located in the Rajasthan region of eastern India, also known as The Sun City. Hinting the bright sunny days that shines here all year round. The blue color most of the buildings posesses supposedly cools the indoor temperatures. Being the second largest city of Rajasthan, Jodhpur has quite a few places to visit. 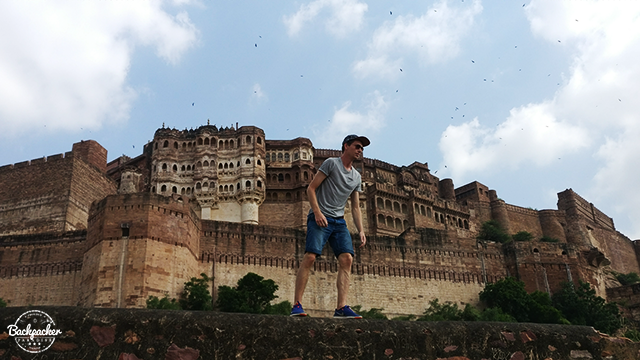 The old city lies around the Mehrangarh Fort and is surrounded by the old city wall. In 1459 Rao Jodha laid the foundation of what was destined to become one of the mightiest forts of all time; Mehrangarh, Citadel of the Sun. Today the beautiful palaces have been converted into a unique museum that houses an impressive collection of artifacts from the primetime of the fort. From it's hilltop location, you're destined to have great views over the blue city. See if you can spot landmarks like the Clock Tower and Umaid Bhawan Palace. You might also recognized Mehrangarh as the location of the scene in the Batman movie; The Dark Knight Rises, were Bruce Wayne (Christian Bale) rises from "the pit". Price to visit Mehrangarh is 600 INR for foreigners. 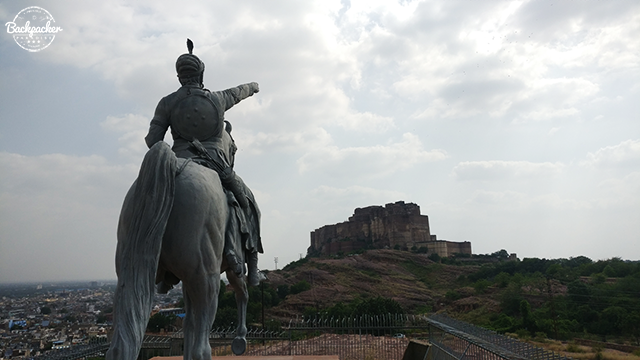 In walk-able distance from Mehrangarh you'll reach the Statue of Rao Jodha, pointing towards his own magnificent fort. The statue lies along the road towards Jaswant Thada. 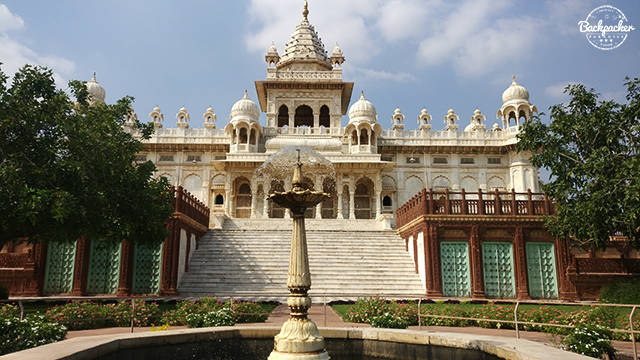 Jaswant Thada is a funerary monument built in white marble and finished in 1899. The temple was built to honor Maharaja Jaswant Singh II. The grounds feature a gazebos, a garden, a fountain and a small lake. Entry fee is a mere 30 INR per person.